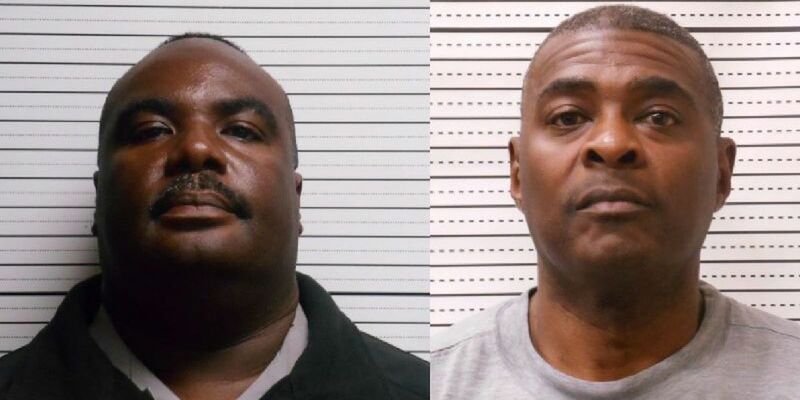 SOUTHPORT, NC (WECT) - Southport officials on Friday announced that Chief Gary Smith and Lt. Michael Christian Simmons have been suspended without pay pending an internal investigation by the city. The two officers were initially placed on paid administrative leave following their arrests last week. In a news release, city officials said the decision was made "in light of the felony charges pending against them and after careful consideration." The other members of the city's police force remain on paid, non-disciplinary, administrative leave until further notice, according to the news release. A special Board of Aldermen meeting was held in Southport on Wednesday night to address the next steps in the case of Smith and Simmons, who were jailed on charges of conspiracy to obtain property by false pretenses, willful failure to discharge duties and obstruction of justice. State investigators said Smith and Simmons were driving overnight shifts for Oak Island Transport during the same hours they had claimed on their daily activity reports for the Southport Police Department. On Wednesday, the Board of Aldermen went into closed session for around 45 minutes and emerged with a unanimous vote to keep the Southport Police Department on paid administrative leave. Southport Mayor Jerry Dove said the reasoning is twofold: to conduct an internal investigation and because there is currently no chain of command within the police department. A Southport police officer who wished to remain anonymous emailed WECT Wednesday night saying, "Please let my citizens and my city know we are ready to serve them with honesty, integrity, professionalism and honor." An internal audit will be conducted to determine if other members of the police force were involved in any wrongdoing and a list of options on how to proceed will be presented at next Thursday's regular Board of Aldermen meeting. Dove said city leaders hope to have the department reinstated as soon as possible. The Brunswick County Sheriff's Office has assumed all law enforcement duties in the city until further notice.